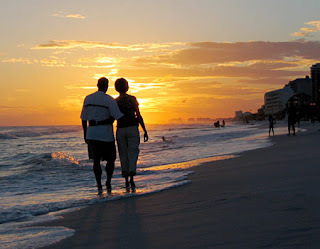 Whether you dream of secluded islands with sandy powdery beaches or breathtaking monuments and cities filled with history and culture to explore, there are thousands of places spread all over world that make for wonderful luxury honeymoon destinations. 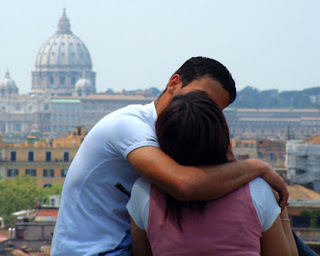 Italy has always allured honeymoon couples - it's culture is fascinating and it's architecture is breathtaking. With Venice, rated among top honeymoon destinations in the world and recognised for its elegant architecture and winding canals and Sardinia, another beautiful destination in the Mediterranean where you'll find lovely beaches and beautiful coastline, it's no surprise so many couples choose Italy for a bit of romance. 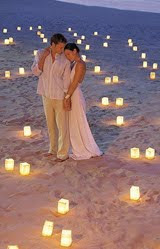 Fiji is one of the South Pacific’s most romantic honeymoon destinations. With its friendly charm, white beaches, warm tropical breezes and intimate beach resorts, Fiji has many secluded resorts scattered amongs its 300 sun-kissed tropical islands. Relax on the beach with your sweetheart, enjoy white-water rafting through tropical rain forest in the lush highlands of Viti Levu, snorkel offshore reefs in the Mamanuca Islands, explore on horseback the hilly grassland peaks of the Yasawa Islands; or scuba dive Kadavu Island’s world-famous Great Astrolabe Reef. In Fiji you can do it all. Bali is one of Asia’s most exotic and tranquil honeymoon destinations. Blessed with a rich and ancient culture, Bali is home to great natural beauty, friendly people and sun-kissed beaches that offer numerous fun-filled activities for your honeymoon. Lounge by the pool or relax on the beach in a hammock hung beneath sweet-scented jasmine, magnolia and frangipani trees. If you're a more active couple, you have your choice of honeymoon pursuits including hiking, rafting, surfing, scuba diving, snorkelling and paragliding. In Bali you can discover narrow roads that weave among ancient temples, mountain lakes, soaring volcanoes, picture-perfect rice terraces and unspoilt rainforest. Experience genuine Balinese hospitality, watch colourful festivals and rituals, be enchanted by traditional Balinese dance and listen to the soothing and hypnotic sound of the gamelan, which bring to life Hindu mythology and legend.